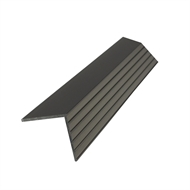 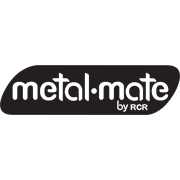 Metal Mate Bronze Anodised Fluted Angle is available in 25.4mm x 25.4mm in 1 and 3 metre lengths in an anodised finish, with one face fluted and the other plain. Used as a safety tread on steps and stairs, it also assists in protecting the surface or finish. 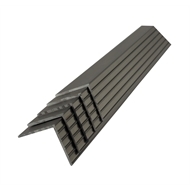 The fluted angle can also be used for automotive applications.